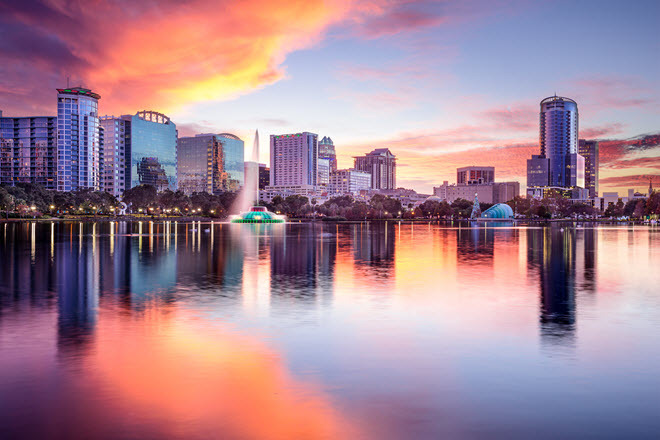 When you think of Orlando, think big time resorts, sun, sand millions of tourists each year, plus some of the most dynamic restaurants in the country. Disney imagined a fantastic world in which everyone can feel free to be a child. And Orlando’s Disney World is world famous for over the top technology and spectacle. But Disney World also collects together some of the finest restaurants in the world. Here celebrated chefs and some of the leading restaurant managers provide uncompromised dining experiences and a global collection of flavors. A few hundred master chefs, including executive chefs, assistant chefs, pastry chefs, specialty chefs, and guest chefs. Hundreds of food prep workers to chop, clean and more. And with over 300 restaurants you better bet Disney hand-picks some of the most savvy restaurant managers they can find. Award winning chef-owned restaurants like Wolfgang Puck’s Café and Emeril Lagasse’s Emeril’s Orlando and Tchoup Chop punctuate the culinary landscape. Any school that dishes up the Le Cordon Bleu program offers one of the most prestigious culinary programs in the world. This program was founded in France and adheres to a strict curriculum. Expect to learn how to approach a diverse array of global cuisines with a solid foundation on classic French and American dishes. Nurture your inner creativity to inspire new takes on old taste combinations. Programs include Associate of Science in Le Cordon Bleu Culinary Arts a popular track leading you to entry-level chef jobs; the Diploma in Le Cordon Bleu Culinary Arts is an abbreviated version that offers you an introduction to many of the key knowledge areas needed by a chef; and Associate of Applied Science in Le Cordon Bleu Patisserie and Baking trains you to prepare the various types of desserts, breads and pastries that make up the repertoire of an experienced pastry chef.